24pcs/set False Nails 1pc 2g Glue. Item Type: False Nail. Application: Finger. Color: As the picture shows. eCheque will be held until cleared. You may also like. Create the perfect fashion at your feet pedicure. This style is French Manicure false toe nails. Technic Tip Top Toe False Toe Nails. 50 x STICK ON - LONG OPAQUE COFFIN False Nails FULL COVER Natural ✅ FREE GLUE. False Nails. FREE - 2g Nail Glue & Small Prep File with False Nails. Opaque / Natural Colour Nails with10 different sizes. 24 x Toe nails. Quantity: 24pcs. Item includes. 1 x sheet of 12 assorted sized nail tabs - for attaching false nails without casing harm to natural nail. Foxtail Nails . Hand Painted Full Cover False Nails. Long Stiletto High Gloss Red Nails. Luxury Hand Painted Full Cover Stiletto Nails. Ultra glossy red Long Stiletto nails. Set of 20 nails. As all nails are handmade they can be slightly different although I try and get them as close to the picture as possible. Hand Painted Full Cover False Nails. Long Stiletto Bright Pink Nails. Luxury Hand Painted Full Cover Stiletto Nails. Ultra glossy bright pink Long Stiletto nails. Set of 20 nails. As all nails are handmade they can be slightly different although I try and get them as close to the picture as possible. 50 x STICK ON - LONG CLEAR COFFIN False Nails FULL COVER Natural ✅ FREE GLUE. False Nails. FREE - 2g Nail Glue & Small Prep File with False Nails. Professional Nails. Clear Colour Nails with10 different sizes. 50 x STICK ON - SHORT CLEAR COFFIN False Nails FULL COVER Natural ✅ FREE GLUE. False Nails. FREE - 2g Nail Glue & Small Prep File with False Nails. Professional Nails. Nail Gel Polish UV/LED. Clear Colour Nails with10 different sizes. 500 x STICK ON - SHORT COFFIN False Nails FULL COVER Natural / OPAQUE ✅ FREE GLUE. False Nails. FREE - 2g Nail Glue & Small Prep File with False Nails. Opaque / Natural Colour Nails with10 different sizes. 60 x STICK ON - CLEAR COFFIN False Nails FULL COVER Natural ✅ FREE GLUE. False Nails. FREE - 2g Nail Glue & Small Prep File with False Nails. Professional Nails. Clear Colour Nails with12 different sizes. 500 x STICK ON - SHORT CLEAR COFFIN False Nails FULL COVER Natural ✅ FREE GLUE. False Nails. FREE - 2g Nail Glue & Small Prep File with False Nails. Professional Nails. Nail Gel Polish UV/LED. Clear Colour Nails with10 different sizes. 100 x STICK ON - LONG opaque COFFIN False Nails FULL COVER Natural ✅ FREE GLUE. False Nails. FREE - 2g Nail Glue & Small Prep File with False Nails. Opaque / Natural Colour Nails with10 different sizes. 600 x STICK ON - CLEAR COFFIN False Nails FULL COVER Natural ✅ FREE GLUE. False Nails. FREE - 2g Nail Glue & Small Prep File with False Nails. Professional Nails. Clear Colour Nails with12 different sizes. 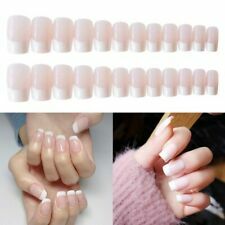 100 x STICK ON - SHORT COFFIN False Nails FULL COVER Natural / OPAQUE ✅ FREE GLUE. False Nails. FREE - 2g Nail Glue & Small Prep File with False Nails. Opaque / Natural Colour Nails with10 different sizes. 120 x STICK ON - COFFIN False Nails FULL COVER Natural / OPAQUE ✅ FREE GLUE. False Nails. FREE - 2g Nail Glue & Small Prep File with False Nails. Opaque / Natural Colour Nails with12 different sizes. VIXI Beauty Products. Nail Gel Polish UV/LED. Nail Accessories. Strong Nail Glue. Net Weight 3g. Glue Specifications. Protect all work surfaces and use with adequate ventilation. Bonds skin in seconds.